With my fellow PhD’ers at the Centre for Cultural Policy, Warwick, I took part in a workshop to discuss methodologies for doing interviews, for collecting the data and a little bit about analysis. The session was quite practical and included discussing how to record a phone interview and other technical issues. We touched on ethics too – not too much though. I was one of the case studies and I had prepared some raw material (everyone got excited about that) to listen to during the workshop. I created a closed posterous account and uploaded 1 -2 minute podcasts of segments from my interview recordings. This helped to illustrate specific issues / points made by the interviewees and how I might start interpreting that. A fellow student suggested it might be a good tool for manipulating the data, as part of the process of analysis. Like created audio quotes. 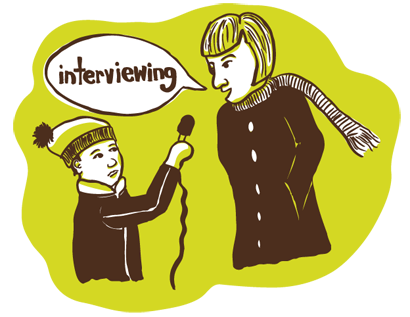 Some useful comments were made about observations one can make before, during and after the interview. Using the before and after in a self-reflexive way which might become useful for the methodology section, as a means of recalling the activity. This might include details of how I felt the interview went, if I felt I prompted the person too much / not enough. I also talked about recording the conversation before the interview really starts and continuing the recording while we finish off – just to capture those highly informal moments. As part of that discussion, I asked about how to handle bumping into the interviewees and the conversation starting again, outside of the formal interview. Obviously, people wont want to be recorded at random times but can I make notes and use this information to contextualise the original interview?